Painted up the first few Ratling conversions. I'm not that happy with how they turned out, to be honest. I tried a few new things out and they kind of back fired in general I think. Fairly disappointed but I'm glad to have them done. 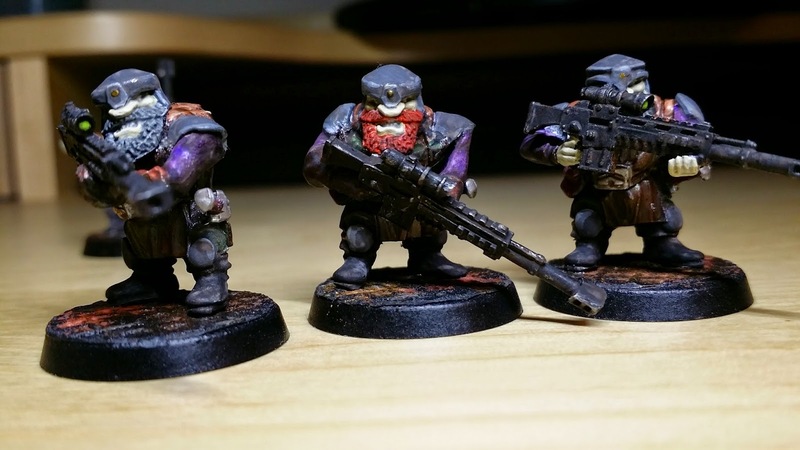 These guys are based on some mantic dwarfs (dwarves?) 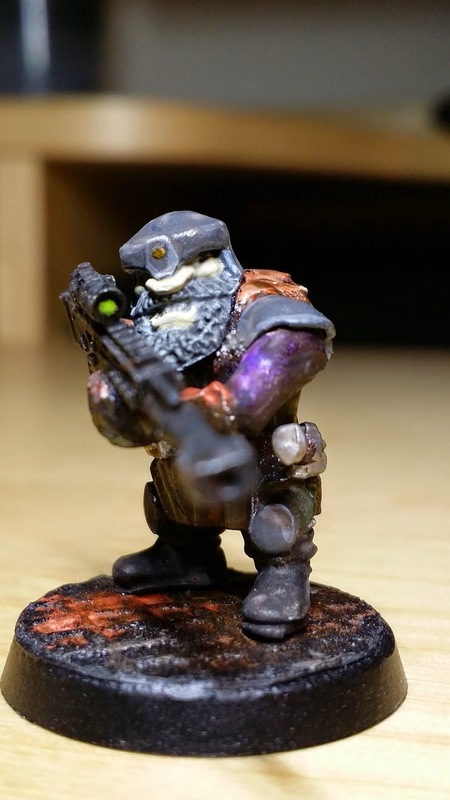 with some IG bits mixed in and the sniper rifles are from Anvil Industry, which are just fantastic. Look pretty good to be honest. cheers yo! Just not what the original plan was.